When I was a little girl and dreamed of having children I always pictured myself having a little girl. I remember how excited I was when I grew up, got married and after 8 years of marriage I finally got pregnant! We waited anxiously while the Ultrasound Technician looked to see what we were having....a boy or a girl. First she told us the baby had all 10 fingers and toes, the heart, etc were all developing fine. Then she told us we were having a BOY! I looked over at my Husband who had a panicked look on his face. He really thought I was going to cry and be devastated at this news. I was exactly the opposite!! This was a miracle child. At the age of 36, I'd only been pregnant once before and that turned out to be an ectopic pregnancy. I had tried many fertility options as well, but was told after the ectopic that I wouldn't have children. The news of a healthy baby boy was the best thing ever! I love my Son more than life itself and would never trade for him a little girl....but I'm not going to say I don't wish I had a girl too! I'm a girlie girl and always had dreams of playing dolls, dress-up and Barbie with my little blond haired, blue eyed Daughter. Instead I play Lego, ninjas and wrestle with my blond haired, blue eyed boy. Yes, I know this was a long introduction to a blog post! It all has a point, trust me! My friend recently purchased a new home and is excitedly decorating each room. 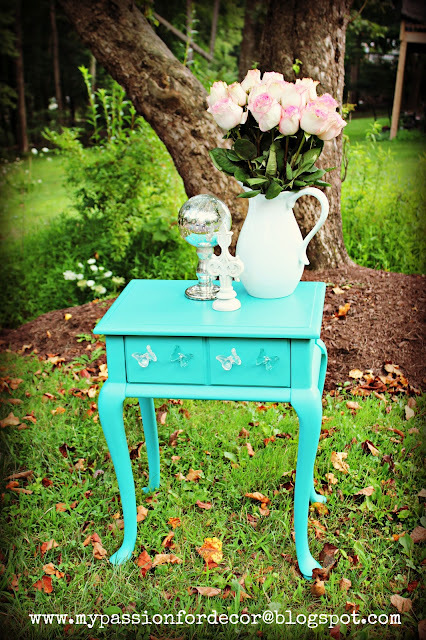 I did a dresser for her Daughter Elle a couple months ago Elle's Pink Dresser. I loved how it turned out and thoroughly enjoyed every minute I worked on it. I never get to paint anything pink!!! 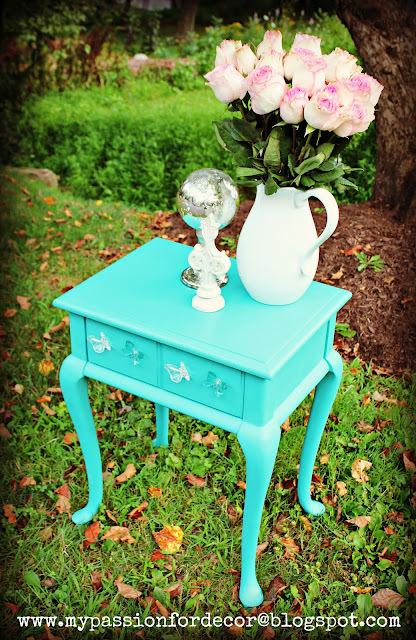 When my friend asked me to paint an old nightstand her parents had given her I jumped at the chance. Again it was for her Daughter Elle's room. 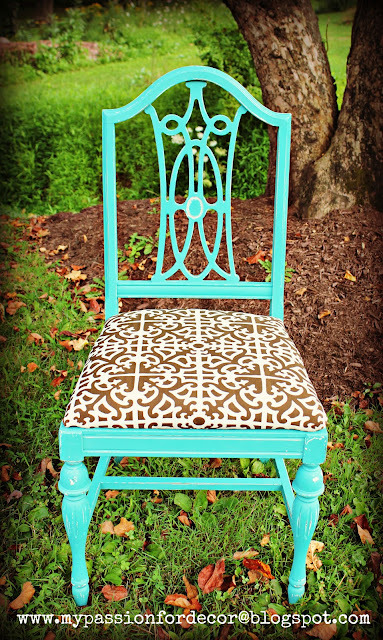 We discussed color options and then I went to an Annie Sloan workshop and they had just received the new color Florence. I sent a picture of the color to my friend and we both agreed it would be a fantastic pop of color in Elle's room! 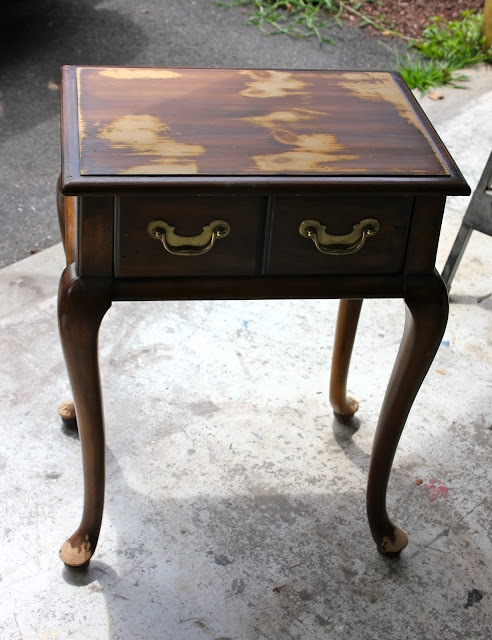 Here is the nightstand before....well kind of before. Again I started sanding without taking a picture. At least I didn't get too far along! The nightstand was stained and then finished with a high gloss poly. The finish was coming off and peeling in spots. The feet started falling apart when I was sanding. With a little wood glue and a clamp I fixed the feet. Then I filled the cracks with wood filler. It was nice to not have to strip the top this time! 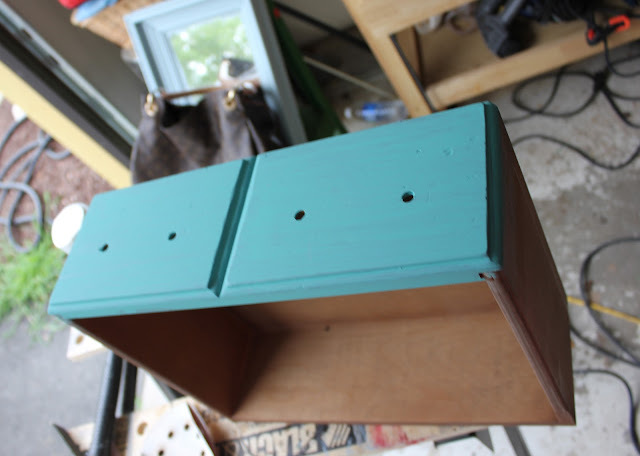 I had thought about staining the top, but then realized the top of the dresser I did for Elle was painted so I figured it would look best to have them both the same. I decided not to go with Annie Sloan Florence straight out of the can. I thought it was a little too teal. I was going for turquoise not teal. So I mixed equal parts of Florence with Provence and came up with a perfect turquoise. While I was working on the nightstand I was working on a surprise project for Elle. Recently I bought two matching chairs at a tag sale. When I got them home I realized the one chair was a write-off so I was left with just one. I didn't know what I was going to do with it until I thought of Elle. I'm a firm believer that everyone needs a chair or a bench in their bedroom and I just so happened to have the perfect chair!! Again, I got carried away and forgot to take proper before pictures, but you get the idea. 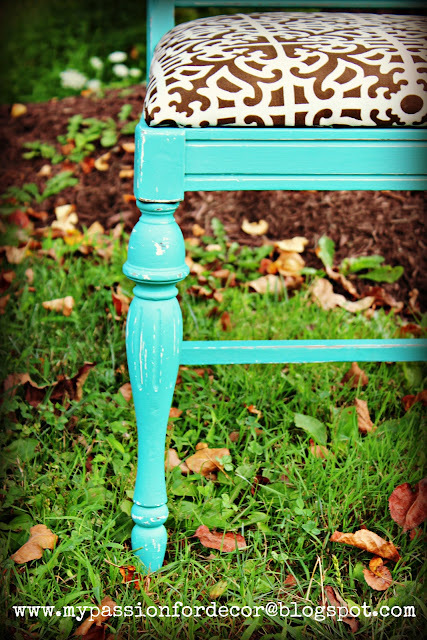 The chair was painted white and peeling. 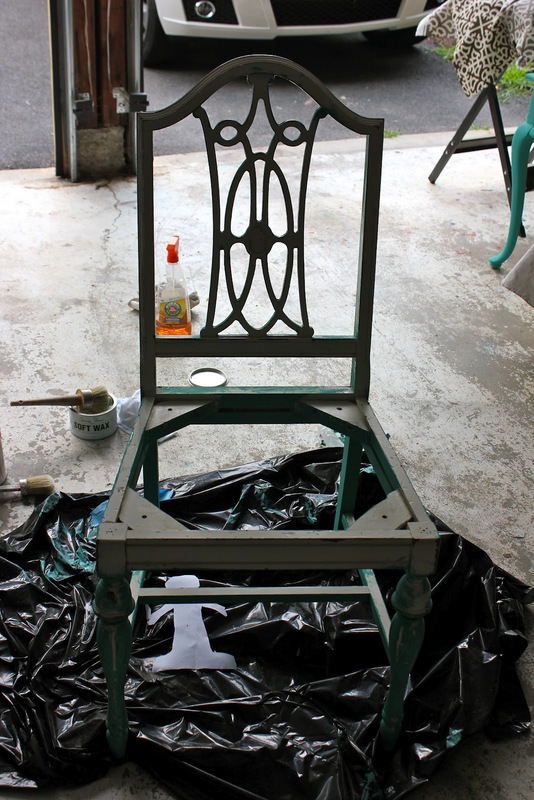 It's and old chair with tons of character. 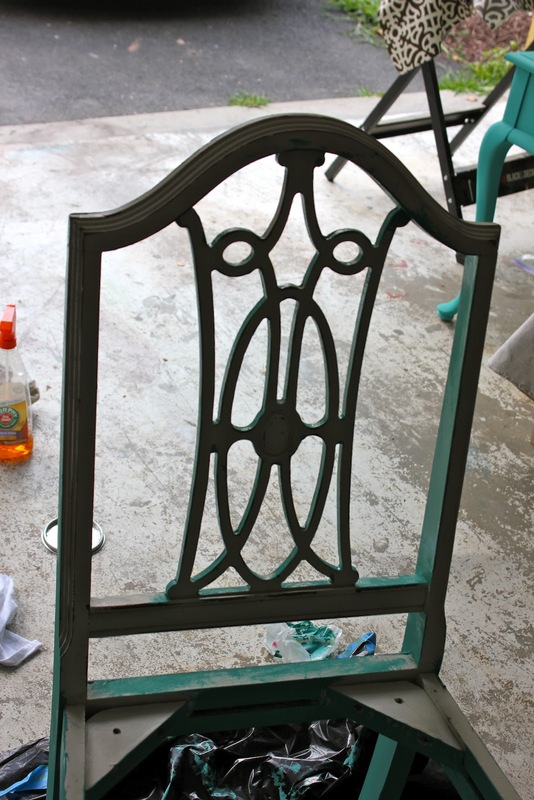 I took the seat off and there were 6 different layers of fabric that had to be pulled off to get to the bare wood. This chair has had lots of different looks over it's lifetime! The thing that drew me to the chair in the first place was the back. I love the curves and the legs are to-die-for!!! This is what the seat looked like before I took the 6 layers of fabric off. Swoon.....I love a curvy leg! 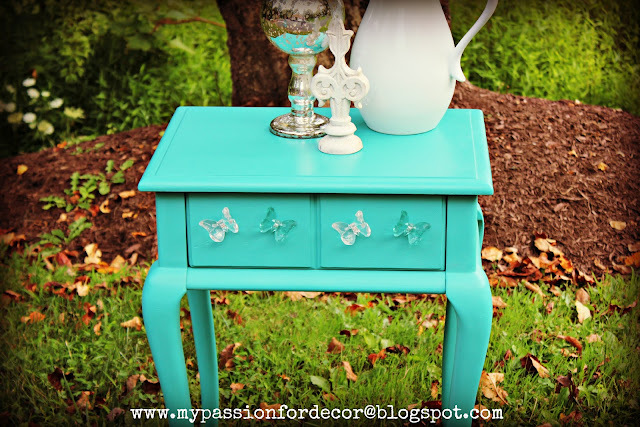 Both the nightstand and the chair got 3 coats of my Annie Sloan custom mixed paint. The top of the table got 6 coats. Now you might be wondering why I did 6 coats!!!!??? I sanded in between coats with 800 grit sandpaper to make sure the paint was smooth and compact. It turned out really nice! Then I finished the table off with a coat of clear wax. I liked how the nightstand looked and didn't distress it at all. I felt the chair needed some distressing to help bring out the character so I gave it a light sanding in some spots and finished it with a coat of clear wax. The seat I upholstered in a fabric I had used for a chair in my family room that's a brown and white pattern. Here they are all finished! The dresser for Elle is a similar pink to the roses my sweet Hubby brought home for me yesterday...aren't they pretty?! This is the color scheme for Elle's room, turquoise, pink and white. I had originally wanted to keep the hardware that was on the nightstand so I primed them with white spray primer then finished them with a high gloss white. The hardware had a different plan altogether...they decided to peel and look ugly. I then resorted to some other pulls and did the same process and they turned out fine, but then I remembered some pulls I'd bought recently. I think any nightstand can have drawer pulls, but a little girl with an incredible dresser, chair and nightstand needs something more special and unique, like her! I had bought some butterfly drawer pulls and had no idea what I was going to do with them. 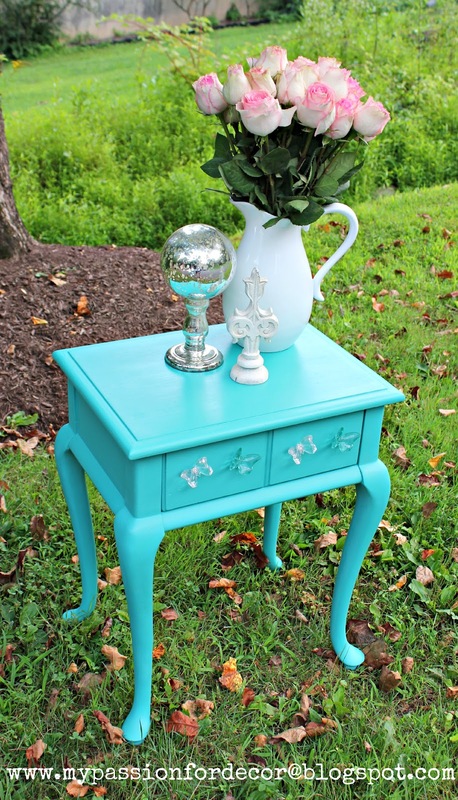 I gave them a shot on the nightstand and I think they're just the jewels this piece needed! I adore these little butterfly pulls!! There are those incredible legs again, but now they look fantastic in turquoise. I like how the brown fabric contrasts and pops with the paint. I also love how the fabric sort of mimics the curves on the back of the chair. This was one of my favorite projects to work on. This color is amazing and knowing I was doing this for a special little girl and her family made it that much better. I can't wait to see how all three pieces look in her new room! I hope she loves them as much as I do! Thank you for taking the time to read this post. Have a great week! 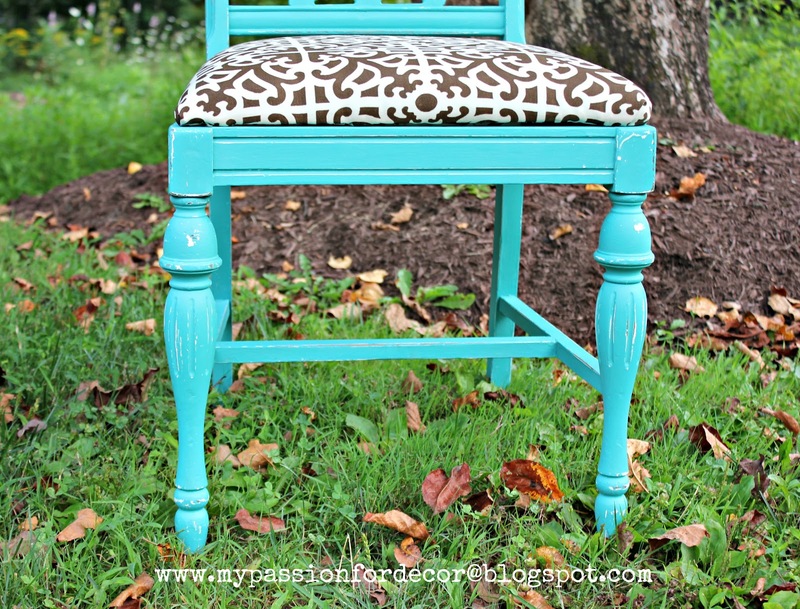 I love, love the color combo of the turquoise and brown/white fabric!! 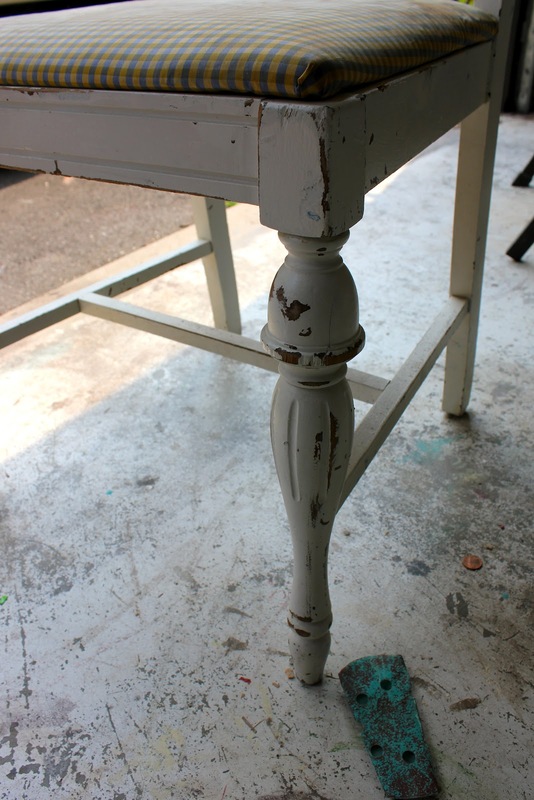 The table is gorgeous and the draw pulls go perfectly with it! You are so talented!! I hope this posts this time. My last one didn't :))) Elle and I love these pieces so much. They will be the most beautiful pieces of furniture in our new home. Melody your creativity never ceases to amaze me. The love time and effort you have put into all of the furniture shows in the beauty of the finished product. Nowhere can you find furniture like this. My parents have more furniture coming your way and they can't wait to see the transformation. 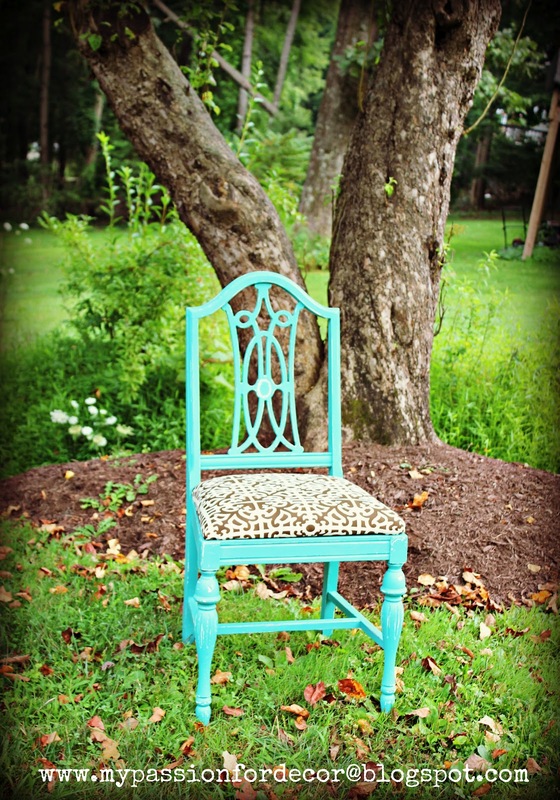 Your furniture is going to be in homes all over ct very soon. Thank you Lauren and Elle! It was so much fun doing the pieces for Elle! I enjoyed every moment of each one. I can't wait to see them in her new room!!! Those turned out so beautifully! Love the brown with the chair. The butterfly pulls are just precious. I think Elle is one lucky little girl! 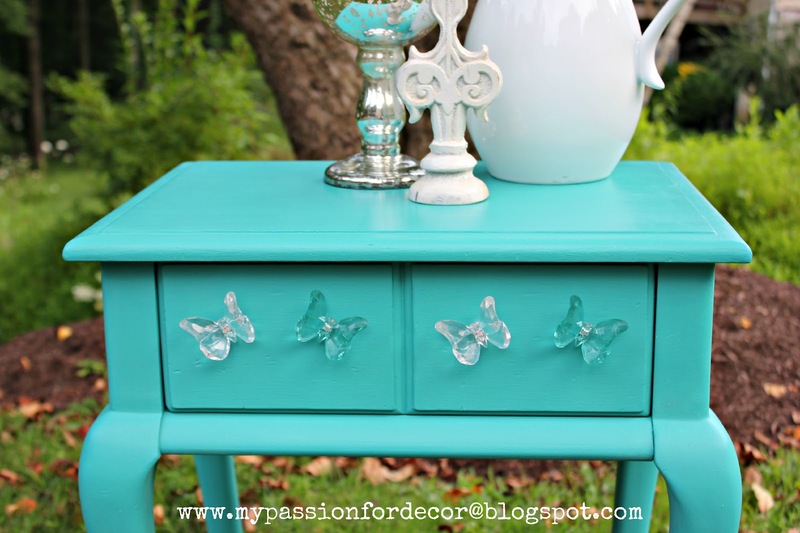 brilliant idea... love the colors... and the butterfly pulls. I'm also a furniture lover. Thank you for sharing! Gorgeous! Turquoise has become my favorite color. Love your creativity. I've just started playing with CeCe Caldwell paint and don't have any experience with it yet. A quick question, if you don't mind? How durable is the wax as a finish? Will it chip easily? How does it compare to a poly finish? Thanks so much. You're a big inspiration to me. Thank you! 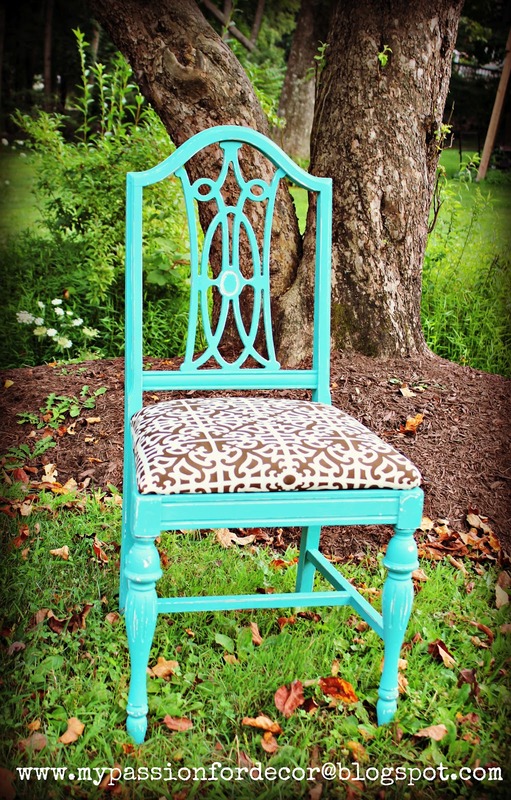 I've yet to try CeCe Caldwell paint. 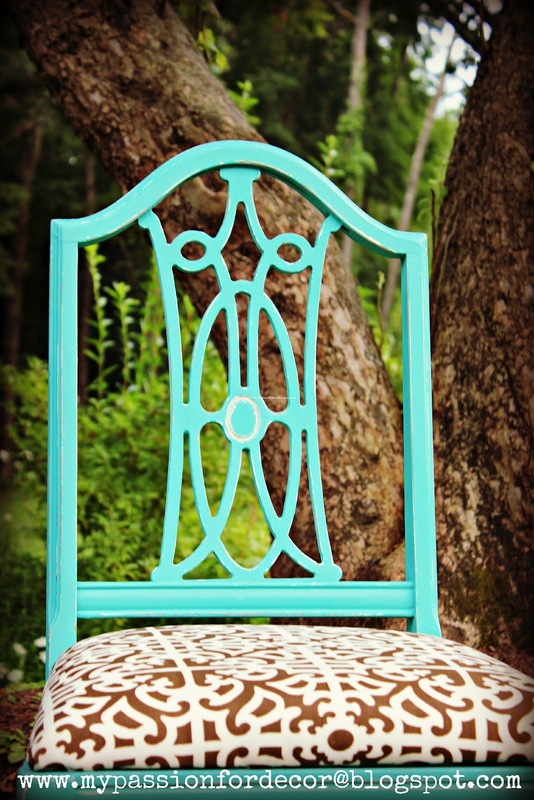 I'm so in love with Annie Sloan, but I keep meaning to give it a try. 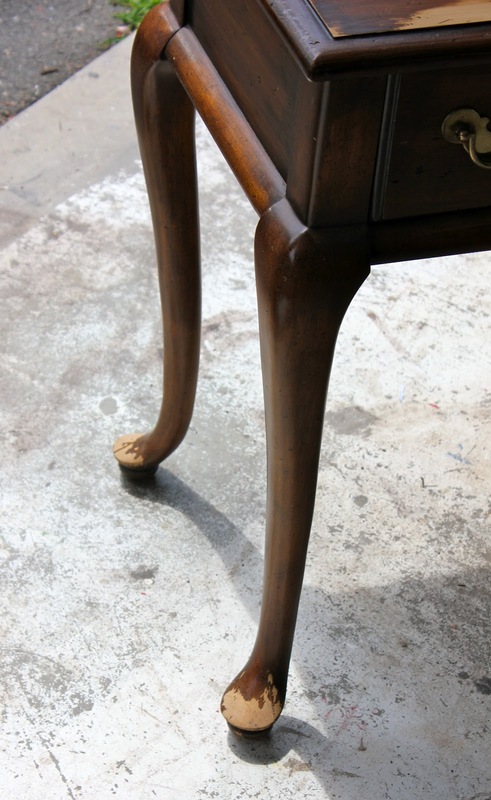 I have been very happy with the durability of the Annie Sloan waxes. The wax dries about 24 hours after application and then is buffed so it does form a bit of a barrier on the paint. I have a 7 year old boy and on my stained surfaces (coffee table in our family room, kitchen table, media cabinet....etc) I have applied 3 coats of dark wax and it's very durable. One time my Son was doing some printing on the kitchen table and it left a mark. I just applied another coat of wax and it was just like new. On the painted surfaces I haven't had problems with the paint chipping. The wax seals the paint and makes it firmer. Let me know if you have any further questions. Thank you for reading and for the wonderful compliment. Thanks very much. Your answer is very reassuring. A 7-year-old boy is a great tester! When you think about it, wax was one of the very first finishes and lots of things sealed in wax have stood the test of time. From what I've been reading (as I'm sure you have), the one you fall in love with just depends on which one you tried first. Oh those turned out just soo sweet. I love the colour and those little butterflies are precious. I think I'm in love too! So beautiful. Elle is so lucky to have you in her life! I'm here from Classy Clutter and just became your newest follower. 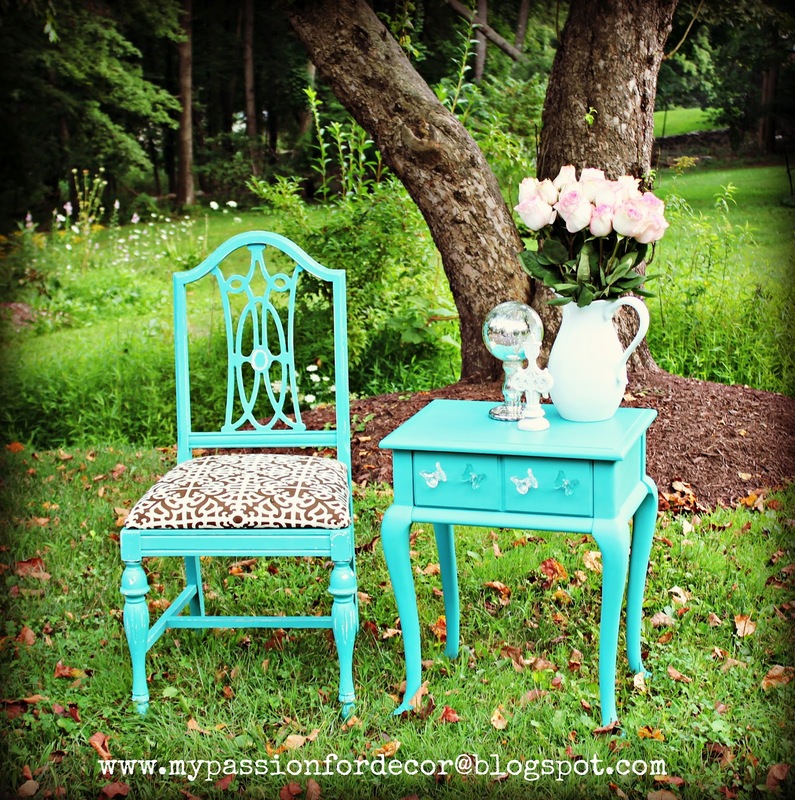 I love redoing furniture and your blog has some great inspiration. I'd love it if you stopped by my blog to take a look around, and if you like what you see, follow me too! http://feathersandsunshine.blogspot.com. Hope you're having a great weekend! 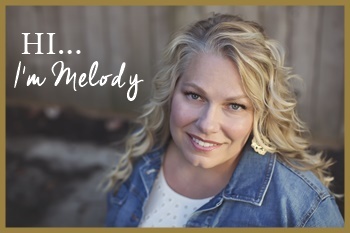 Such a beautiful color, Melody! I love the curves on both these pieces. 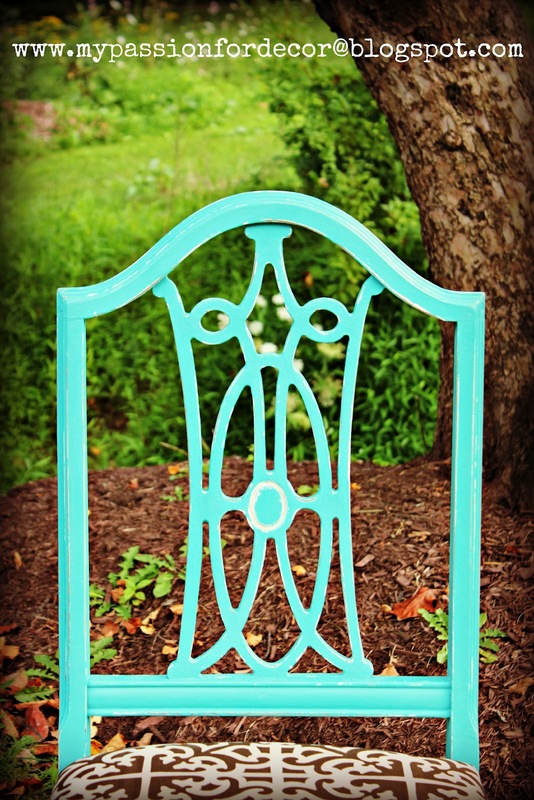 Perfect for a little girl's room! What beautiful transformations! 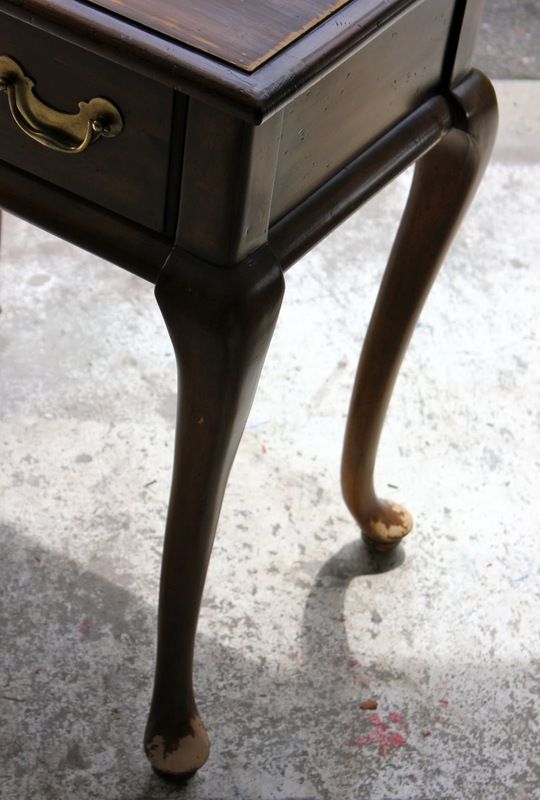 I especially love the butterfly hardware on the night stand. So fun, and what a lucky girl to have you so lovingly creating what is sure to become a sentimental favorite! The color you blended turned out perfect! What a beautiful, fun and happy color! And the drawer pulls are the perfect touch. I just discovered you blog and am now following. What a great transformation! Love the colors! My Get Social Sunday link party is live. Would love to have you come link up your homepage and promote your blog! Thanks so much for sharing your inspirational story on Simple & Sweet Fridays. I love how your makeover on the dresser and chair turned out so gorgeous! Just beautiful. 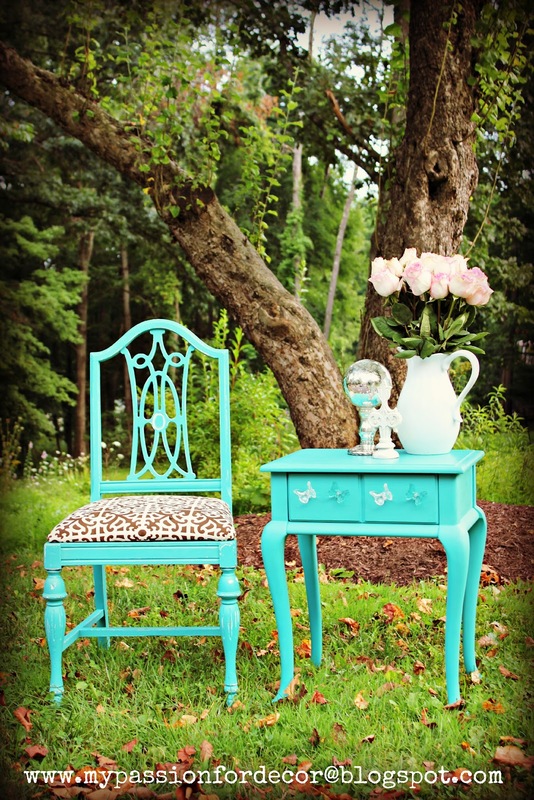 Love, love, love that turquoise! The chair and night stand turned out great. Soooo gorgeous! Found you through DIY Show Off Project Parade. I'm your newest follower through GFC! Gorgeous!!! That is the perfect turquoise! I'm featuring you today! Adore the color you chose! I would be delighted for you to link to Potpourri Friday, in progress! Oh! So pretty! You created one gorgeous color there! Love it! It's going to look beautiful with the pink dresser!